[Recipe] Healthy Energy Protein Snack Balls! “My joints are sore again Dustin,” one of my newer clients recently told me. I asked her why. 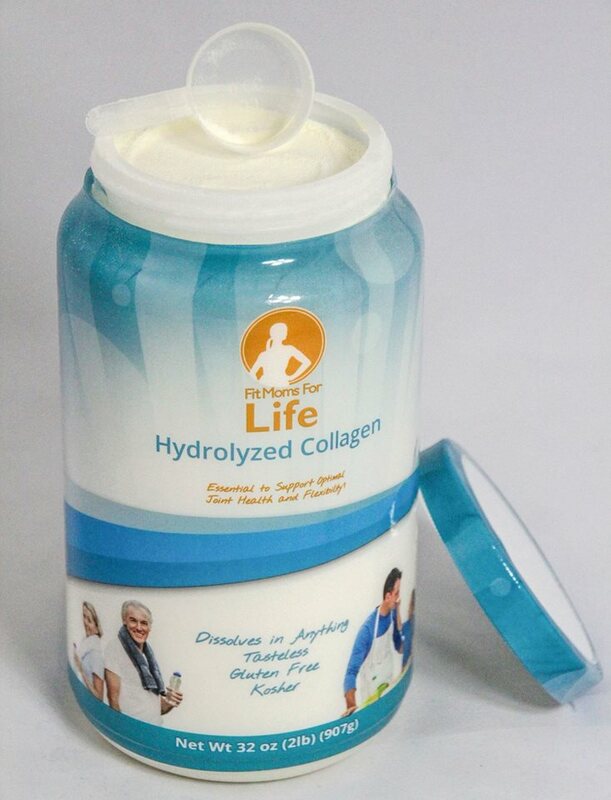 “Because I went on a week’s vacation and I didn’t bring the Fit Moms Hydrolyzed Collagen with me.” I don’t blame her for not bringing it through TSA security; it is a white powdery substance so maybe it looks very similar to cocaine, not that I really know what cocaine looks like in real life. Today, I want to share with you a tasty recipe that includes my favorite protein powder that keeps my inflammation and joint pain away. Most protein bars are disguised as candy bars. Making your own is the best way to ensure you have only natural ingredients. They aren’t as hard to make as you might think and store well all day for an on-the-go snack. 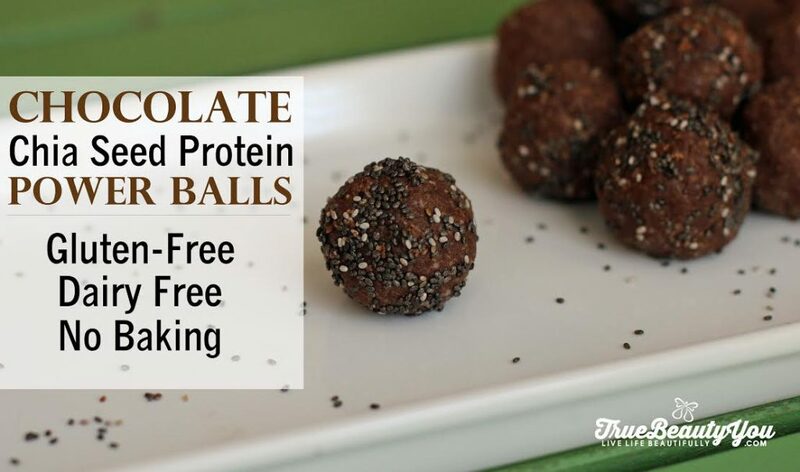 Try this awesomely healthy treat for a party hors d’oeuvre, snack or even lunch! Along with the added nutrients of the vegetables, the black beans, kidney beans, lima beans, navy beans, pinto beans, white beans, soybeans (edamame), and garbanzo beans (chickpeas) are high in fiber, folate, magnesium, potassium, and protein. You can even switch up any of your favorite legumes in this recipe. 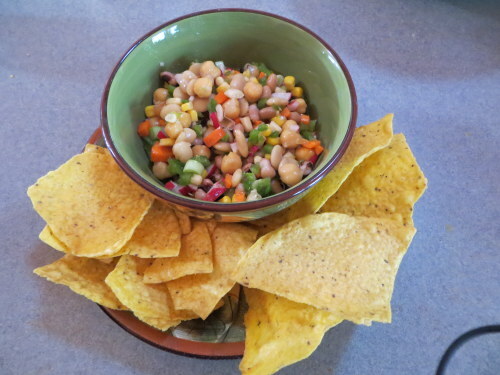 Combine ingredients in a large bowl and mix thoroughly with exception to organic corn chips. .
Bring dressing ingredients to a boil and let cool and poor over mixed vegetables, peas and beans. Refrigerate at least a few hours to combine flavors. This soup is one of my favorite ways to welcome the fall season. After a nice long summer (now that I’m back in the South and out of Toronto I can actually call summers long), I’m always excited to enter into fall. I love bringing out my cozy sweaters, leather boots and light weight scarves. I also love the produce that’s available in the fall. Pumpkins, squashes, juicy pears and granny smith apples are among a few of my favorites. 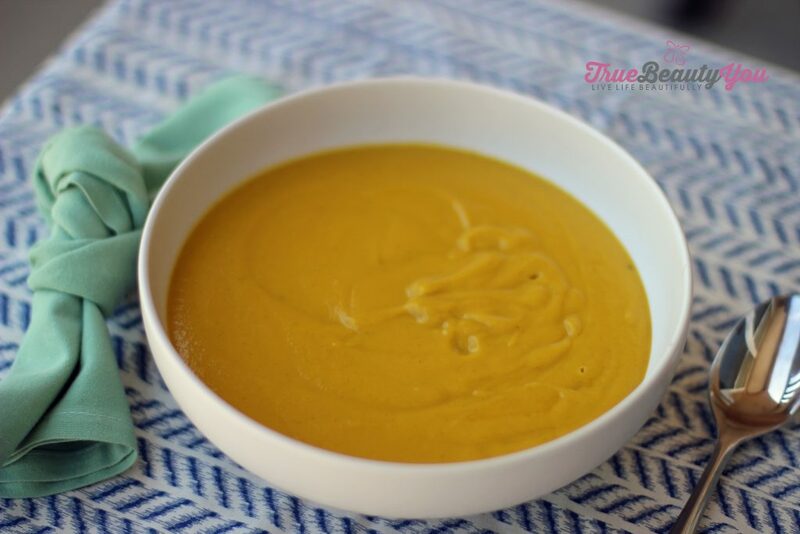 This butternut squash soup is right up there on the list of my favorite fall recipes. It’s simple, but so delicious. I also like this version of butternut squash soup because it’s seasoned with sage. For me, it’s important to roast the squash instead of steaming or boiling it to soften. I feel that roasting really allows the true flavor to come out. Even though it may take a bit longer than boiling or steaming, I think it’s well worth the effort. 1. Preheat the oven to 350 F. Cut the squash in half lengthwise and lay each squash in an oven safe baking dish, flesh side down. 2. Fill the baking dish with about an inch of filtered water to prevent the squash from drying out while roasting. 3. Roast the squash for 1 hour or until the flesh is softened. 4. Once the squash is cool enough to handle, scoop out the seeds and discard. Scoop out the remaining flesh into a bowl and set aside. 5. Heat a spoonful of coconut oil in a large pot over medium heat. Add the onion and saute until softened. Add the apple, sage and salt and pepper and continue to cook until the apple is soft and the flavors have melded. 6. Add the squash and mix to further develop the flavor. Add the chicken broth, cover and simmer for 5 to 7 minutes. Remove from heat. 7. Once the squash mixture is cool enough to handle, transfer to a Vitamix or high powered blender and blend until complexly smooth. Work in batches if you need to. 8. Transfer the blender contents back to the pot that you were using before and heat over low to medium heat. Add the coconut milk and gently stir to combine. In a recent blog post I shared with you the ONE THING you can do to reach your health and fitness goals – just show up. Focus on eliminating unhealthy temptations in your life. Many people believe that fat people are lazy. I hear this quite often, and to be honest, starting out as an ignorant fitness professional a decade ago, I had some of those same feelings. I have come to realize though, being overweight has little to do with being lazy and much more to do with the environment you choose to create for yourself. If you are struggling with your weight or your health and struggling to be consistent, it is NOT because you are broken, messed up, or have weak will-power. It is more likely because, over the years and decades, you have created a life that is full of temptations. One of Alcholics Anonymous (AA’s) biggest messages is that if you struggle with alcohol – you don’t go into situations where there is a lot of alcohol. Similarly, if you struggle with eating nutrient void processed foods, don’t make it easy to get these foods. In our modern society, it’s almost impossible to completely avoid processed junk food, but making some small changes can have a massive difference. 2. If you have a sedentary desk job, do what you can to raise your computer so you can stand for at least part of your day. 3. If you are prone to skipping workouts, have a friend come and pick you up or arrange to text each other to keep you accountable. Willpower is like a muscle, no matter how strong it is, fatigue will eventually settle in when overused. When you begin to make the above small changes in your life, your willpower will be tested less and you will be able to stay stronger when faced with other various temptations in your day. Assignment: Make a list of 3 situations in you life you can tweak to reduce the amount of daily temptations around you. Implement these changes today to help you reach your goals! I”m surprised how often I get comments from people that suggest because I’m a trainer and health advocate I don’t struggle to eat healthy and exercise consistently. Sometimes I think people believe the thought of junk food just makes me gag and that the nutrition fairy just drops broccoli down my mouth. My name is Dustin Maher, and I am a finisher. At least when it comes to food. If I see a bag of open chips, I have to eat the entire bag. 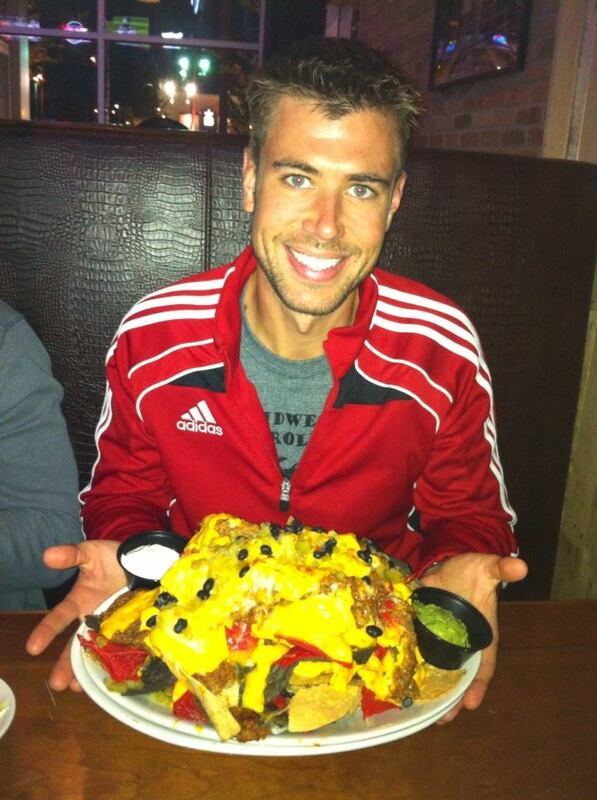 If I order a massive plate of nachos from the Great Dane, I have to clean the plate. If I see a bowl of M&Ms on a table, I will grab a handful and continue to go back until the M&Ms are gone. If there is a carton of ice cream in the freezer, I just can’t leave it only half eaten. So how am I not 300 lbs or more? I don’t allow these tempting foods into my environment. You could argue that my personal circumstances are easier to control than yours, and you may be right, but the truth is, we all have more control over our environments than we think we do. 1. I don’t allow any processed junk food in my apartment. If it is there, I will grab that over any of the healthy and tasty food I have in my home. The only exception is when I might have a football or sports party-that’s when I will allow it in my place but just for that day. Once the party’s over, I give it away or throw it away. 2. I strongly discourage my clients and staff to keep any unhealthy food in our my work place. Since I own my own Transformation Center and can make the rules, this is easier for me. A few of the staff really want a coffee machine, but I just have to refuse their request, even if they pay for it themselves. If they need coffee to stay alert, it is only serving as a band aid to the underlying cause of their fatigue or lack of energy. 3. I only eat out about once per week. Sometimes twice a week and sometimes none, but when I do go out, I tend to overindulge and use that as my cheat meal. 4. I don’t drink my calories. Ok, I will have protein shakes sometimes and maybe a small cup of almond or coconut milk, but other liquid calories can surround me and I just don’t even consider the toxic junk as a viable option. 5. I surround myself with mostly fit and healthy people that are like-minded when it comes to eating and exercise. When I’m with these friends, I feel like I belong and can truly be myself because we share many of the same interests and goals. For example, when I get excited about the veggies I buy at the farmers market, they get excited with me! This list of ideas for removing temptation from your environment might seem pretty basic, and I understand that some of you reading this may not have a healthy work, or even home environment, but remember, ultimately you have the control and the power. Whenever possible, take back control of your environment and start living the healthy life of your dreams! I want to to say how much I appreciate you as a subscriber, client, and health advocate. I don’t take for granted the time you put into reading my blog posts and apply the information into your own life. Thank you! 5 Ways To Stay Energized And Burn Fat At Work! No matter how awesome your job is, there are probably times during the day that you start to feel groggy, tired, and lose focus. I have gone into dozens of companies the past few years and worked with their wellness teams to devise strategies to reduce the amount of times their employees get tired and lose focus during the work day. 1. Set an hourly alarm and do 1 minute of exercise when it beeps. Some examples of exercises: jumping jacks, squats, lunges, stair walking, planks, or dips. This one-minute break will boost your metabolism, tone a little muscle, and make you feel more alert and awake. Don’t worry what your coworkers think… they may soon join you! 2. Keep a large container of water near you and drink it throughout the day. Not only will you be less tempted to drink calorie and caffeine laden drinks, but you will get awesome exercise walking to the bathroom. 3. Eat and move. It is tempting to just eat at your computer and continue to work through your lunch, but whenever possible get outside with others and walk around. The chance of scenery will do you good, too. 4. Pack healthy snacks and keep them in your desk or in a nearby refrigerator. 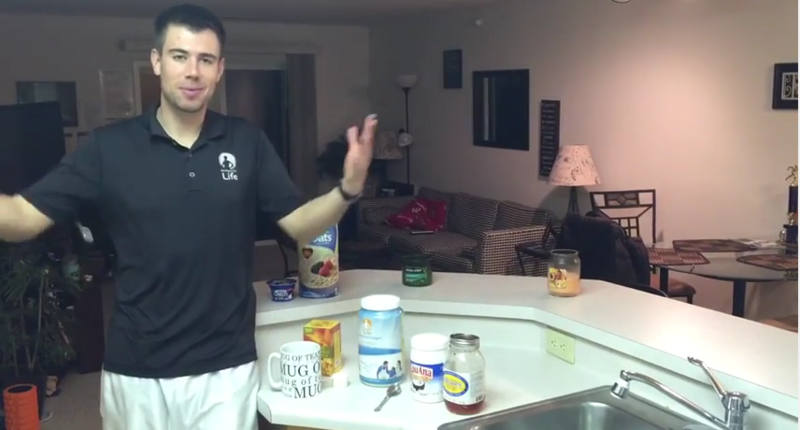 Some great snacks include: string cheese, apples, carrots and hummus, raw nuts, beef jerky, etc. Having healthy snacks that are convenient will decrease the chance you make your way to the vending machine or the treat table, etc. 5. Stand up desks. Many businesses are now offering stand up desk options. If your company doesn’t have that option yet, if possible, try to build your own stand up desk by bringing in a crate or something to elevate your laptop. Standing promotes better posture and will increase your calorie burn compared to sitting all day. These are just a handful of small ways you can integrate healthy habits into your work day and improve your productivity and energy all day long. The Fit Moms For Life team are on a mission to help local Dane County businesses and organizations integrate more wellness into their cultures. I have a VERY short survey asking for an opportunity to come into your workplace, club, community, church group, etc and work directly with the organization to help each person get fitter, healthier, and gain more energy. Want to earn some FM4L SWAG money?! I will give you $25 worth of FM4L products for each lead you provide us with that results in a booking. My team will follow up with you regarding each lead you provide. Thank you in advance for helping make Dane County a healthier place to live, work and play! Included in this survey is an opportunity to nominate your kid’s school for a free fundraiser for the PTO or any other cause the school chooses! Have you ever met someone for the first time and you instantly felt more energetic and positive by being around that person? That is what happened to me recently as I met an awesome woman named Mary. Mary works for a billion dollar organic food company that I am working with to help their wellness program get even better than it is already. She had been doing my program for the past 5 years and was instrumental in getting me into the company. After hearing a little bit of her story I asked Mary if she would be willing to get interviewed so I could share with you how she lost 30 lbs AFTER menopause, and AFTER stopping smoking. I am 61 ½ years old, single and have no kids so I don’t fit the typical Fit Moms for Life. At age 59 I ran my first 5K followed two months later running my second 5K and then a week later did my first Sprint Triathlon finishing in second place. The following year at 60 I did my second Sprint Triathlon and finished in 1st Place! Most of my adult life I weighed in at between 130 and 135 pounds and smoked for thirty years. That is what helped me stay thin which is a very stupid way to go about it. Thirteen years ago I stopped smoking and started walking. Up until that point I was basically a couch potato. I moved back to Wisconsin from Seattle, joined a gym and used the treadmill and elliptical. Then menopause came along and really threw a wrench into things. The pounds came on pretty easily and pretty fast especially around my middle. I was able to disguise it some but the weight started showing in my face and neck which I couldn’t hide. At one of my yearly physicals, I got on the scale and weighed 170 pounds. I knew I weighed this much but when you are standing there in front of a nurse it just hits home. I was so depressed. My Physician Assistant suggested I try Dustin Maher’s program Fit Moms For Life. She said you don’t have to be a mom to do it and said that she was even doing the program. I went home and immediately ordered the DVDs. What were your initial thoughts? Where you skeptical? I got the DVDs, bought a stability ball and hand weights, 5 lb and 7 lb. They felt pretty heavy in the store so thought I would start with them. When I first started I was amazed at how heavy the weights were that the ladies were using on the DVDs. I was gasping for breath doing the burst cardio, I also have asthma, but Dustin suggested putting my hands behind my head which really helped. I think I could do five pushups and my abs burned doing the crunches. I stuck with it, doing it three times a week. Before long I had to go buy heavier weights, 8 and 10 lbs and then 15 and 20 lbs. The pounds started to drop, inches started to melt away and I was getting stronger and less out of breath. I felt so good after I had finished and even noticed my posture was improving due to some of the weight exercises. As soon as I got home from work I would do the exercises in order to get them done and not procrastinate. People started to notice my weight loss and it was so fun to go buy new clothes. How is your life different now than it was before being introduced to my program. I am probably in the best shape in my life at 61. I am healthier, stronger and more fit than ever. I lost 30 pounds, went from a size 14 to size 10. BMI is in range, visceral fat (which is the internal fat around your organs) is low and my metabolic age is 52. I have so much energy people are constantly asking how I can have so much energy. I have energy because I exercise! How has other areas in your life improved besides losing weight and toning up. Being in better shape I want to do more and try more things. I love to snorkel and would love to learn how to scuba dive. On my 60th birthday I Bugee Boarded in Mexico and it was awesome! July of 2015 I am doing a biking tour in Ireland, biking 30 to 50 miles a day. What a way to see where my ancestors came from. I feel like I am unstoppable. Longevity runs on my mother’s side of the family and I tell people my goal is to live to 102 years old and be taking a Spin Bike class in my 90s. I want to feel good in old age, have balance and keep up with my young friends. Today I take Spin Bike class three times a week, TRX class two times a week and added Dustin Maher DVDs to get more strength training in to help shed and tone my tummy more. How has the reaction been with your friends and family. Do they treat you differently? Do they try to sabotage your results? How have you handled all of that. My friends have been great and I hope I inspire them to be more healthy. What is your eating like now and before you began our program? I have always ate pretty healthy. When I moved out to go to college in 1971 my mom told me she wanted me to cook and not eat junk food, well, really how much junk food was out there then compared to now. I have always cooked from scratch but after quitting smoking and going through menopause I developed a sweet tooth and wasn’t paying attention to portion sizes. I did Weight Watchers for a while which woke me up to how much a cup and half cup really are, not what your eye thinks they are. I portion out just about everything now, keeps me accountable. I have recently made some changes to what I eat thanks to Dustin. Lowfat is CRAP….I have changed to whole fat foods like milk, dairy products, eggs and using coconut oil to cook with and have not noticed any weight gain. I am cutting as much sugar out of my diet as I can and surprisingly not missing it and paying close attention to eating only when I feel hungry. I am also very lucky to work for an organic company and have access to many organic products and live in an area where a lot of organic produce is grown. I try to eat organic dairy, organic meat and buy organic of ‘the dirty dozen’. I have also stopped drinking Crystal Lite and using Splenda to bake with. When I do bake something I cut way back on the sugar and add stevia. I have found some recipes come out just fine using stevia and no sugar. Breakfast 2 Barbara’s Shredded Wheat (no added sugar and only one ingredient) with whole milk and fresh blueberries. Stevia to sweeten. Lunch Large Green Salad (I use a salad serving bowl) with mixed greens and baby kale, grape tomatoes, radishes, sliced apple, tablespoon of sunflower seeds, 3 oz salmon or chicken and a couple tablespoons of raspberry vinaigrette. Dinner Smoothie with frozen strawberries, frozen banana, ½ c Greek yogurt, ½ c V8 Fusion lite Strawberry Banana juice and a scoop of whey powder. Lunch Smoothie with frozen strawberries, frozen banana, ½ c Greek yogurt, ½ c V8 Fusion lite Strawberry Banana juice and a scoop of whey powder. Dinner Grilled marinated chicken breast, baked sweet potato and broccoli. I don’t put anything on the sweet potato, great by itself. Most days I don’t need a snack because I am not hungry in between meals. Don’t hesitate, do it…..It works, just stick with it. Before you know it you won’t be sore and you will start seeing results! Thanks Mary for all that incredible advice. I know your story has inspired those at any age that it isn’t too late to start. 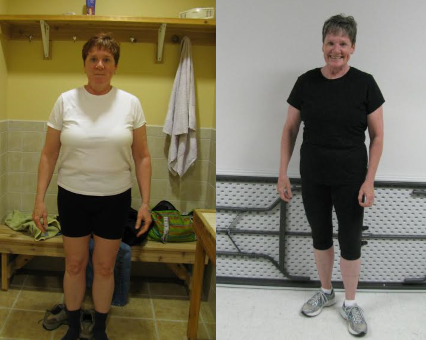 Click here to check out the program Mary has been doing, we have a super special offer going right now that will help you lose weight and feel better at any age!